PORT MORESBY — The Catholic Church here has urged leaders of the Asia Pacific Economic Cooperation to reduce the sufferings of the poor and to reject economic systems that promote inequality. In his pastoral letter for the APEC summit, Port Moresby Archbishop Sir John Cardinal Ribat expressed hope that the 21-member bloc would listen to Pope Francis' call for leaders to say "thou shall not" to an "economy of exclusion and inequality." "Our leaders must be people of action in working towards the reduction of the suffering of those who have the least, to those who struggle, to those who cry out to us for help and support," Ribat said in the letter, which was read during masses last Sunday here. Ribat, the first cardinal of Papua New Guinea, noted that Pope Francis has urged world leaders to adopt an ethical approach to economics and finance that "favors human beings." "We must do the same, we must demand of our leaders an ethical and just approach to economic governance that does not favor the rich and the powerful but is at the service of all of our brothers and sisters," the archbishop said. Papua New Guinea, the poorest member of APEC, has a population of about eight million, about 40 percent of whom live below the poverty line of $1.25 a day. About 27 percent of people living in this Pacific island country are Catholics. Ribat appealed to Catholics to pray for their leaders and to find ways to help the needy. "We cannot ask of others what we are not prepared to do ourselves. As a Catholic community, we must challenge ourselves to look at what we are doing to help and support those in need who are our neighbors. We cannot just say we leave this to the government or to the institutions of the Church. No, we must do something," he said. Ribat also called on APEC leaders to take the issue of climate change seriously, saying the problem has caused displacement of people and despair. "They (displaced) are homeless, there is lack of basic services and worse still, there is despair. They do not know what the future will bring, they don't even know what tomorrow will be like for them," he said. "We must also urge our leaders to be serious in their approach to climate change because we know that no one nation can effectively do anything without the cooperation of other nations." 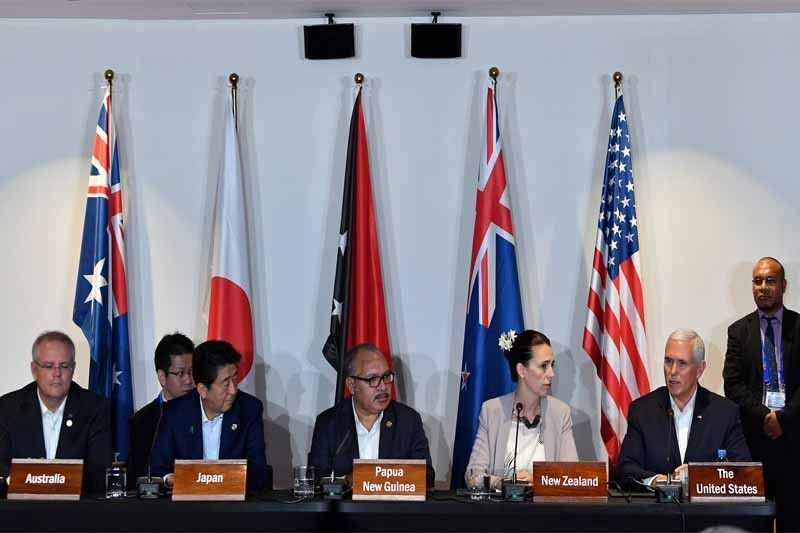 APEC leaders ended their summit last Sunday without issuing a joint declaration mainly because of differences over multilateral trade and the trade war between the United States and China.